She is in beautiful condition in all aspects. Her engine runs perfectly and has had recent work. Her Hull is in great shape and her seats have no tears or fading. Her boat cover is newer and in great condition. Stock #161096 This vessel was SOLD on March 12. 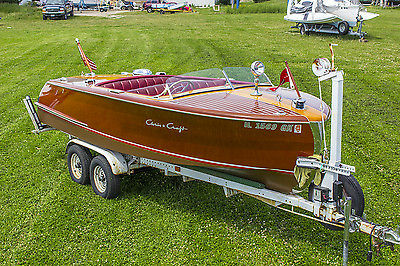 If you are in the market for an antique and classic boat, look no further than this 1951 Chris-Craft Riviera 18, priced right at $30,000 (offers encouraged). 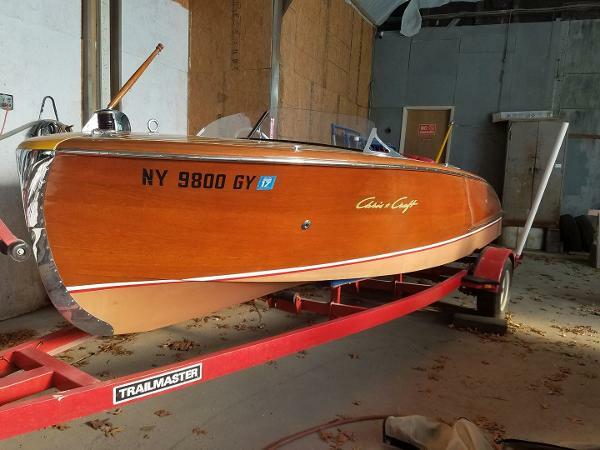 This boat is located in Silver Bay, New York and is in great condition. 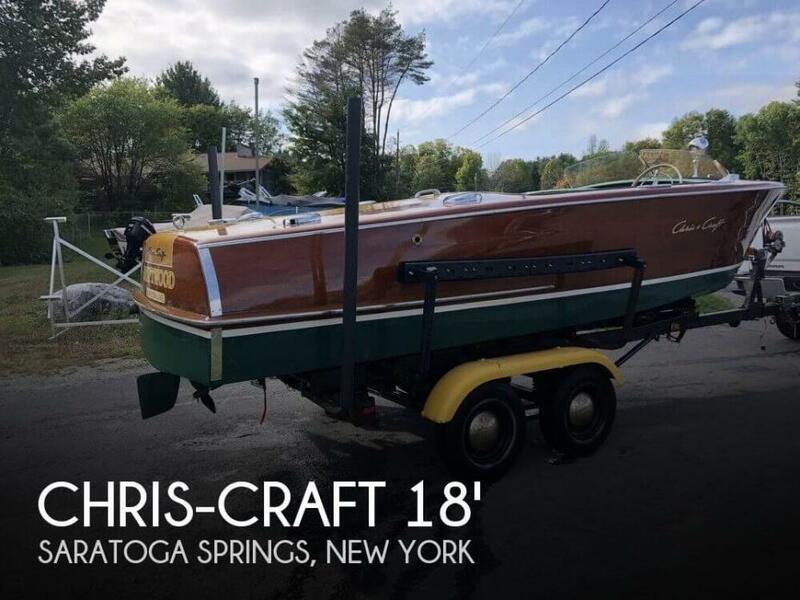 She is also equipped with a Chris-Craft engine that has only 20 hours. 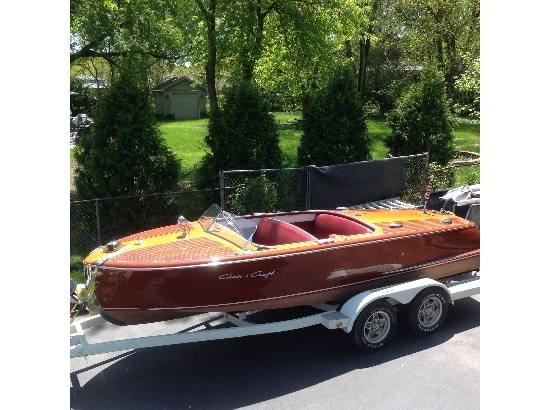 1949 Chris Craft1 Riviera Classic THIS RIVIERA 18 IS A MUST SEE !Professionally restored and maintained. Show ready boat! Trailer has recently been painted black to better match the boat (see last 4 pictures). Includes: 2 spare props Mooring cover Travel cover Rebuilt engine and new upholstery 1998 New modern, waterproof bottom 2003 New planking and decks 2003 Stripped, re-varnished and refastened 2003. Extremely low hours since restoration. This one is just about perfect! 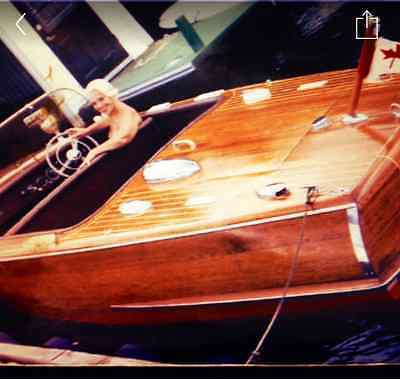 There has been about $65,000 invested into restoring this boat. This is NOT a project boat, just turn the key and go! Contact us for more information! 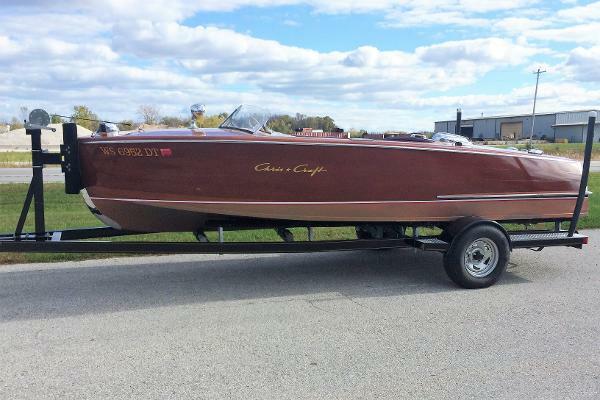 The $500.00 deposit is non-refundable to cover our boat prep costs should the sale fall through.